Make your yard a bird-watching wonderland by decorating it with bird feeders, bird baths and other bird supplies from Ace Hardware. A bird feeder helps keep your feathered friends well-fed in colder months when nutrition is scarce, and with many varieties available online at Ace, it's easy to find the right feeder and food to beckon your favorite type of birds into your garden. Welcome regional wildlife to your front or backyard by hanging bird feeders and houses from the branches of your trees. If you don't have a tree in just the right spot, feeder hooks are also available. These hooks attach to the wall or a stake into the ground to support the bird feeder of your choice. Ace makes choosing the right bird feeder easy. Start by narrowing your search with our handy filters on the left. Select your price range, the style you prefer, the type of bird you would like to attract, or how you plan on using your bird feeder. With so many available designs from which to choose, you're sure to find the style you want at a price that fits in your budget. Helpful Hint: If your yard is prone to squirrels, save more food for the birds by choosing a feeder that's equipped with a squirrel guard. Keep your bird feeder stocked with food designed to suit their nutrition needs by browsing our incredible selection of bird seed and food. You don't have to be an expert to stock your bird feeder like one. Check out all the different bird seed varieties to find the one that is best for your region and its most common species of birds. Bird feeders aren't the only thing that attracts wildlife. Bird baths offer refreshing water to birds and other small creatures, too. In addition to inviting more wildlife into your yard, bird baths are a fun, decorative item to add to your garden. Bold styles and eye-catching colors attract birds and add an instant focal point to your space. You won't believe the excitement that comes over you or your children when you see a bird bathing themselves in your bird bath for the first time! 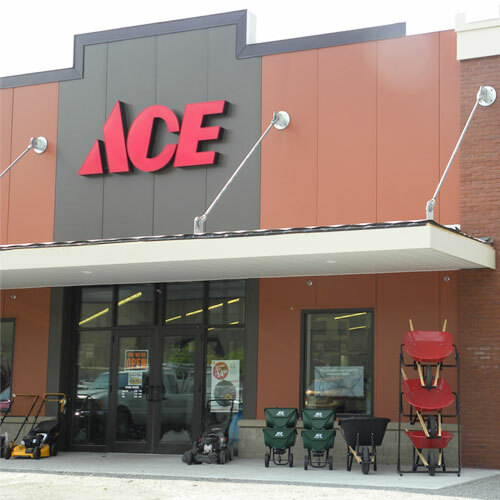 Ace Hardware is your helpful source for bird houses, bird baths, bird supplies and so much more. Try a few different varieties of bird seed around your yard to see which one attracts the most wildlife. Make sure to keep your camera close at hand because these items will have you bird-watching every day.